While we do lots of virtual races and challenges for companies promoting employee fitness or bigger charities seeking donations and publicity, our favorite customers are small fundraisers for very important, very local causes. Racery tranforms what would normally just a request for a check into a more meaningful event that helps rally a community. “Once I found you guys it took me 30-45 minutes to get things set up. You guys really made it easy! !” wrote Paul Yerkes, the race organizer, in an email interview. 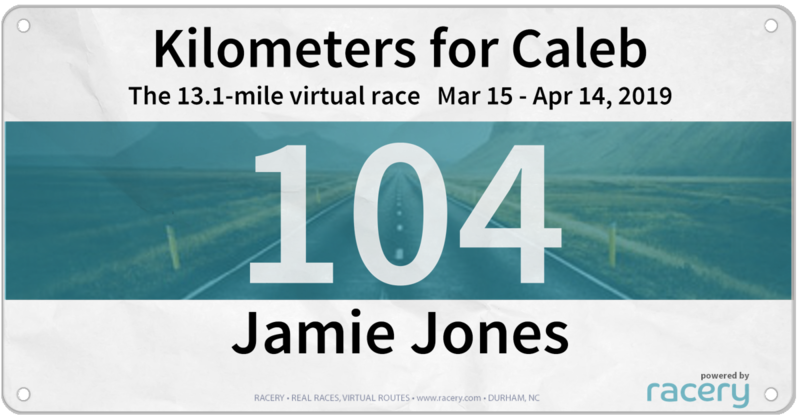 The virtual race route was a half marathon in Wilmington, PA. Some ambitious racers looped the course multiple times. Because Yerkes used Racery’s standard DIY model, there was no upfront fee to set up the race. As in all races, Racery charged zero on donations, covering customer support, servers programming costs with a per racer entry fee. If you’d like to create your own virtual challenge to raise money for a child or pet or colleague’s medical expenses, we’d suggest a free test virtual fundraising challenge first to make sure Racery is right for your needs! Or we’d be happy to talk with you either through the chat function (bottom right) or this form.